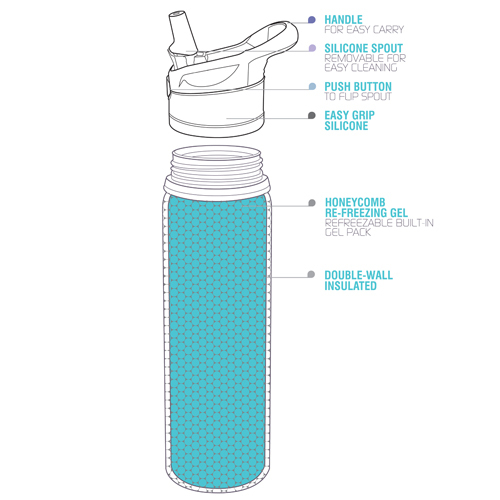 The ultimate coolness in hydration bottles. This re-freezable bottle will keep your favourite beverage chilled for hours, even on a hot summer day! 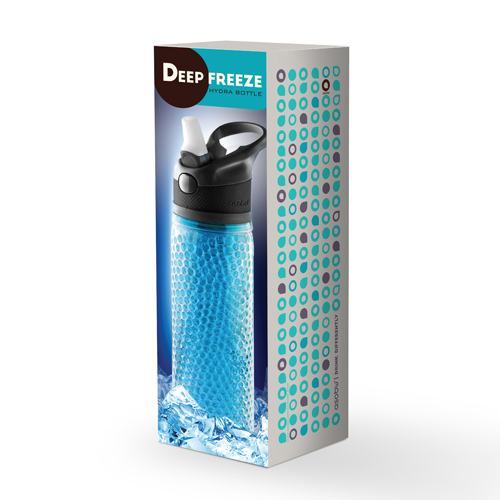 The Deep Freeze Hydration technology eliminates the need for ice! The innovative honeycomb food safe, freezing gel keeps your drink cold for up to 12 hours. NO more watered down drinks! Place this innovative bottle in the freezer for one hour or more before using. Your drink will remain cold for hours! Place it in your cooler once frozen and it will even chill the cooler! 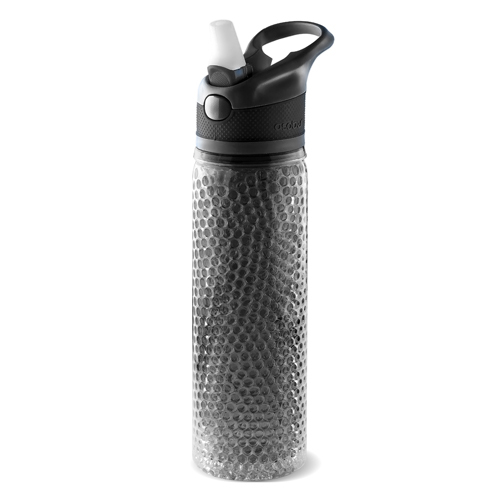 Double walled Tritan combined with honeycomb gel technology makes the Deep Freeze hydration bottle one of the most innovative hydration bottles on the market today! Available in 3 vibrant colours with easy grip strap, grab yours today!